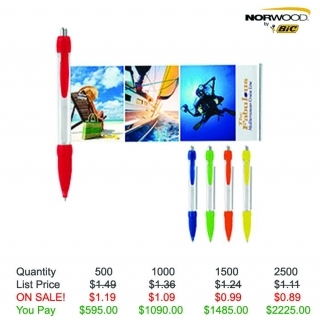 Retractable banner pen with colored trim, rubber grip and with chrome plunger. Barrel imprints are yesterday's news. 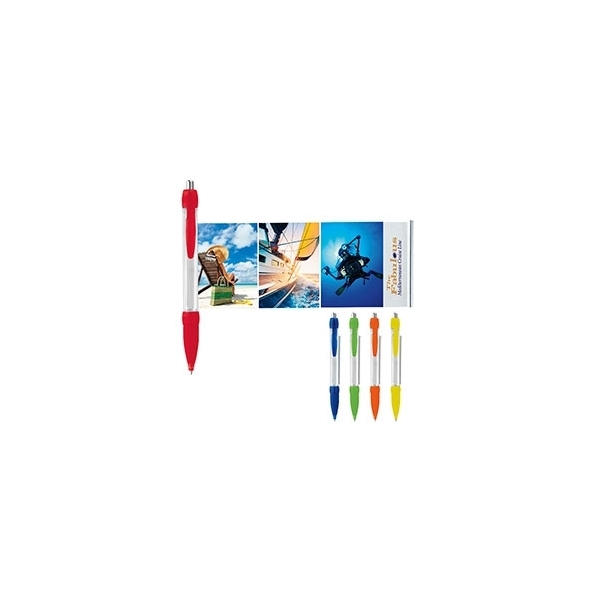 It's time to upgrade your look and image with our Banner pen. Featuring a two-sided, full-color 7 1/2" x 2 3/4" retractable banner made of laminated paper, you can now provide a wealth of information on an attractive but cost-effective marketing tool that is truly mightier than the sword. 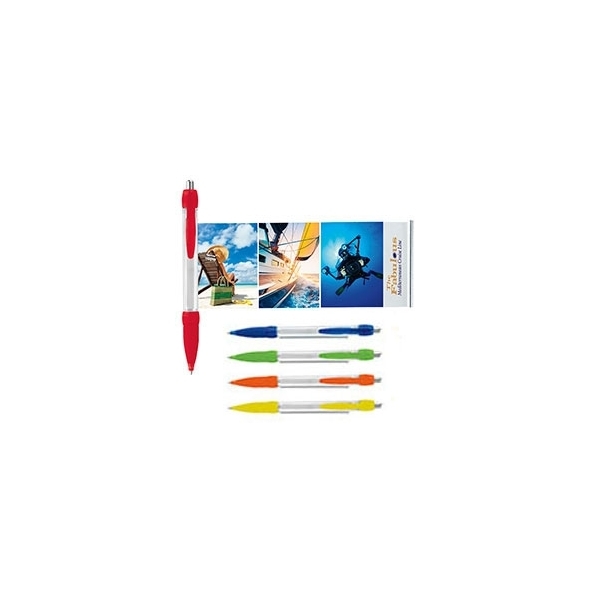 Oh my gosh, these pens are incredible and such a novelty that we have people asking for them constantly, so we will be reordering them again in about 3 weeks when we are down to a minimal number of them! Thanks for all your help and your customer service rocks! See you soon Rob!